Overview: Partly due to additional economic reports being delayed by the government shutdown, there was little market-moving economic news over the past week, and mortgage rates ended slightly higher. The data on housing starts in December, which was scheduled to be released on January 17, was the latest major economic report that was postponed due to the lengthy government shutdown. 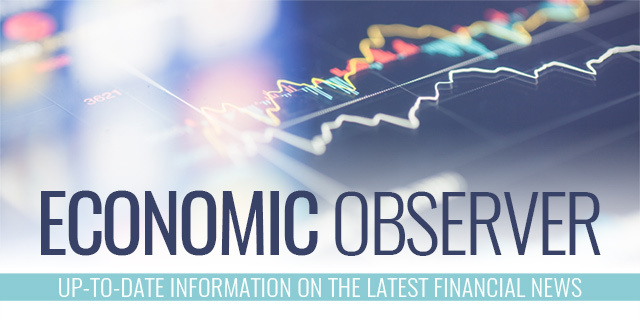 The lack of several key pieces of economic data in recent weeks has made it more challenging for investors and Fed officials to gauge the pace of economic growth. The estimated effect of reduced spending by out-of-work government employees also must be factored in. Around 800,000 people are either furloughed or working without pay during the shutdown, and this does not include the hundreds of thousands of contractors who also are employed by the government. Economists have put forth a wide range of estimates about the impact of the shutdown on the U.S. economy, creating added uncertainty for investors, consumers, and businesses. The housing market data, which did come out this week, was disappointing. In December, sales of previously owned (existing) homes unexpectedly fell 6% from November and were 10% lower than a year ago. The supply of homes for sale also declined from November but were a little higher than a year ago. Median home prices were up 3% from last year. Overall, 2018 was the weakest year for home sales since 2015, as the effects of rising mortgage rates, high home prices, stock market volatility, and the government shutdown were felt late in the year. Investors will be watching closely to see if December’s weakness was mostly due to temporary factors or was an indication of what’s ahead in 2019. Looking ahead, the next European Central Bank (ECB) meeting will take place on Thursday and could influence U.S. mortgage rates. The next U.S. Federal Reserve meeting will take place on January 30. In addition, the Durable Goods report, an important indicator of economic activity, and the New Home Sales report are scheduled to be released on Friday. The Pending Home Sales (PHS) Index will come out on January 30. The next key Employment Report will be released on February 1. The government shutdown could affect some of these release dates.